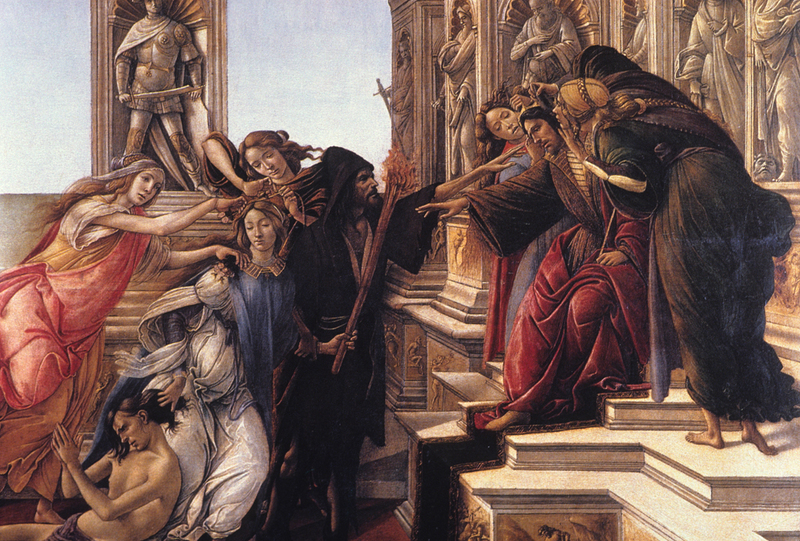 The Calumny of Apelles is a tempera painting by Italian Renaissance painter Sandro Botticelli. Based on the description of a painting by Apelles, a Greek painter of the classical period, the work was completed in approximately 1494. It is on display in the Uffizi in Florence. 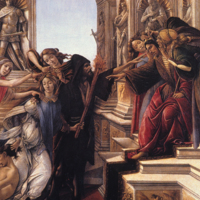 “Calumny of Apelles,” Institute Images Online, accessed April 24, 2019, http://westerncivart.com/items/show/2766.